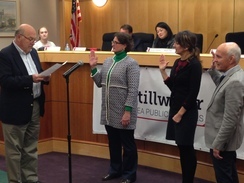 The school board held its organizational meeting on Thursday night - officially swearing in incumbent Mike Ptacek and new board members Jennifer Pelletier and Sarah Stivland. We’re making big changes for the start of the 2017-2018 school year as we transition from junior highs to middle schools. Our new middle school program encourages students to explore their interests and passions in a supportive and nurturing environment. View the middle school registration page for course descriptions and more. Counselors will begin visiting elementary schools across the district this week to talk with 5th and 6th graders about registration for middle school. Check with your child's school for dates and times. Parent meetings for next year's 6th and 7th grade students will be held on January 12 and 19 at both Oak-Land and Stillwater. Visit either school's website for more details. Pony Possibilities Night is coming soon for next year's ninth and tenth grade students. This is a great chance to learn about the high school registration process, meet teachers, and find out about all the possibilities ahead at the high school. Families of all current 8th and 9th grade families are invited. It’s cold, but that’s not stopping students from Marine Elementary from bundling up and heading outside. Marine kicked off its Winter Warm-Up Challenge on Thursday – a five week challenge inspiring kids to get outside and be active in winter. 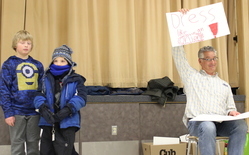 The kick-off assembly taught kids how to properly dress for the weather. 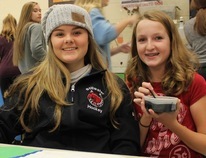 In the coming weeks, students will spend time outside cross-country skiing, snowshoeing, and ice skating – all while tracking points. Elementary and middle school boundaries will change for the coming year. New school assignments were mailed to families in November and are based on the attendance boundary plan approved by the school board in May 2016. View the chart online to learn more about your enrollment options. The deadline for priority enrollment in a school different than the one you are assigned is January 15, 2017. School board members approved the Contingency Middle School Boundary Plan – the last piece of a contingency plan that would only be implemented in the event a final decision on school closures be delayed or overturned. Learn more about boundary changes for the coming school year. View the Middle School Contingency Option (approved 1/5/17) and the Revised Elementary Contingency Boundary Option (approved 11/6/16).